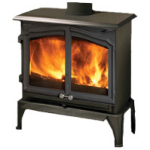 Anglesey & North Wales Chimney Sweeps stock Esse, log burning stoves and Multi Fuel Stoves in a wide range of sizes and heat outputs. Esse wood burner stoves are highly efficient (up to 80%) and are fitted with Afterburn airwash technology for clear door glass and exceptional burn rate control. 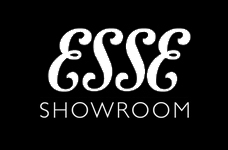 ESSE has been making heating stoves since 1854. 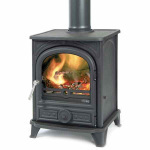 ESSE stoves are still hand made in Barnoldswick, the home of their excellent range of woodburning stoves. Florence Nightingale was passionate about ESSE cookers and would use no other brand at her hospital in Balaclava. Famous British explorers, Shackleton and Scott, also relied on ESSE to provide hot food and warmth to their expedition team in some of the world’s coldest and most inhospitable places. As well as offering traditional designs, ESSE also produce ultra realistic, fuel-effect gas stoves and a range of superbly designed, contemporary Multi Fuel Stoves that can be installed without the need for a flue. 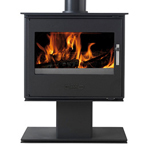 For further information and to view our impressive range of ESSE stoves please get in touch. Precision engineered from high grade steel and featuring their Afterburn™ system, the 100 series offers the presence and clear fire view of the 200 but with a lower output of 5kW thanks to its slim profile. This makes it the perfect choice where hearth depths are limited, or in rooms where there is hearth space for a large stove but where higher heat outputs would overwhelm the room. Engineered from cast iron and high grade steel and featuring Afterburn™ our precision secondary air control system, the 100 double door offers the country look with modern stove performance. 100 DD boasts a 5KW output with a wide view, slim profile and it has been independently certified for use with a 12mm non-combustible hearth. Offering all the performance and benefits of the 100 but with the added advantage of being approved to burn wood in Smoke Control areas. Making this an ideal wood burner for urban households. This 5kW stove offers form and function in perfect harmony. Its balanced proportions, elegant curves and cast iron detailing have been created from a furniture design perspective by leading designer Paul Galley, whilst its fuel burning capability has evolved, like all ESSE stoves over a century and a half. The 500C is simple to operate and this multi-fuel version will happily burn wood and any type of solid fuel. The ‘Ironheart’ cooking stove is a cooker that burns logs beautifully and a stove that cooks to perfection. First conceived to mark the 150th anniversary of the company, the inspiration for this product was found in the earliest appliances in the ESSE museum. Small domestic stoves for both cooking and heating. 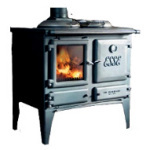 ESSE was amongst the first to introduce the closed stove concept to the British market, and consumers soon recognised the design’s advantages over the open fire alternatives, of greatly increased economy and control.